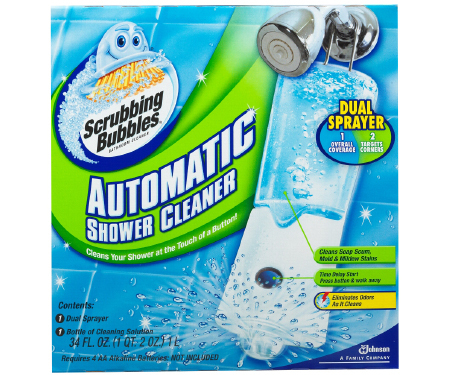 The Scrubbing Bubbles 34 oz. 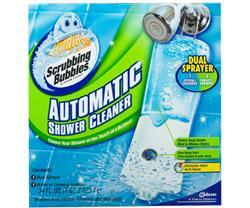 Automatic Shower Cleaner is an easy way to clean your shower. Simply touch the button and walk away. The power sprayer spins 360 degrees to automatically spray a penetrating cleaner on all 4 walls and tub.